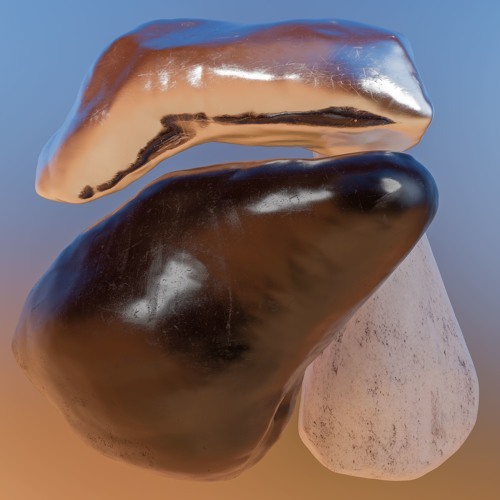 HELM - Chemical Flowers Format: LP / CD / Digital Cat.No: PAN 99 Release Date: 17 May 2019 Purchase: https://bit.ly/2Uxqs9z / https://bit.ly/2UpJ0bA Luke Younger returns to PAN with an eight-track album of his most direct work to date. Composed alone at NO studio in the Essex countryside, to start an album with a piece called ‘Capital Crisis (New City Loop)’ seems an intentional misnomer. Long, sustained periods in the rural studio setting see Younger working with an array of fragmented, disassociated sound sources to build upon 2015’s Olympic Mess. It shares a similarly inclined vision of the urban environment, but here Chemical Flowers makes reference to paradoxical notions of authenticity and creative practice by way of questioning the structures around us. Collages are assembled and dismantled, temporal and spatial boundaries fluctuate and movement is an overarching theme. Surrealist drowned world atmospheres sculpted far enough away from the source of inspiration leave plenty of room for ambiguity. The nocturnal nature of the recording process is self-evident, and pieces like ‘Leave Them All Behind’ tap into a deep psychedelic undercurrent. Confused narratives, emotions and aleatory hallucinations ebb and flow throughout. ‘I Knew You Would Respond’ evokes murky soundtrack terrain with eerie repetitive strings and ambient respite, disrupted periodically by brief bursts of granular noise. It’s one of the records most unnerving moments, possibly as it’s one of the most recognisably human. The album navigates dense passages with recurring signifiers. Hollow percussion, modulating delay and curious field recordings come and go, maintaining a perpetual state of flux where nothing stays the same for long. The drowned world theatricals return on the swamp-like ‘Lizard in Fear’ whilst string rhythms creep in on the penultimate track to incite momentary electroacoustic harmony. Floating synthesis slowly washes over and the title track unfolds - five minutes of reverb-laced portamento, visions of decay and Editions EG influenced world-building. Movement is key. Chemical Flowers features string parts arranged and recorded by JG Thirlwell (Foetus / Manorexia / Xordox). Additional cello played by Lucinda Chua and saxophone by Karl D’Silva. The album is mastered by Rashad Becker, featuring artwork by Johannes Schnatmann & Bill Kouligas.